We went to Sasayama atelier for meeting with a client, then visited “Sasarai”, after the meeting. 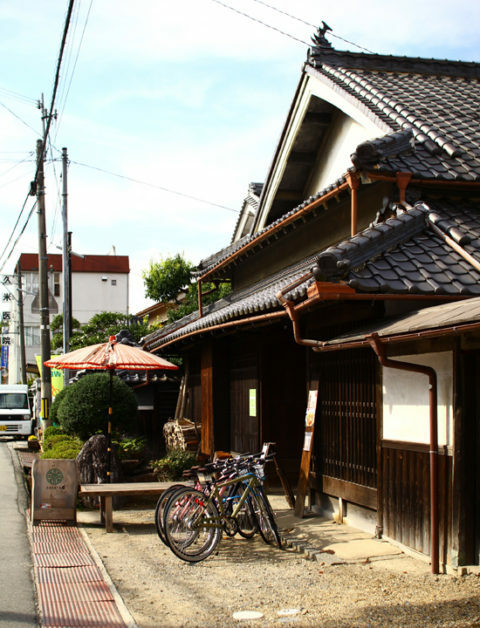 Sasarai is a renovated old house consist of restaurant, bakery, clothing store, pudding store and event space. This old house used to lived by an old lady. Neighbor who grew up around this area told me “I used to come to this old house to see my friends and chatting at here.” with looking at a step of the entrance hall. And he said he feels it amazing that “that” house became a new space like this. A street in front of Sasarai was a main transportation road before the new national road came at the north of it, and this area called “Ginza” since this area was crowded by many stores like butchers, vegetables stores, and so on with a building like Sasarai. But they have closed gradually, and currently most of them winded up there business. Every time I put things into a basket without speaking at the super market, I’m wondering it must be delightful if I could buy meat from a butcher I know, vegetables from a vegetables store I know. Sometimes they may give us some addition for free, or sometimes butcher gives us a bone for a dog for free, and will have some conversation. I remember It was like so when I was a kid. I know supermarkets and large scale retail stores making people’s life easier especially in rural area, but we always passing over something we are loosing when we accept something make our life more convenient. Supermarkets and large scale retail stores will never disappear from Japan. Butchers, vegetables stores and so on will never come back. I am assuming there must be a clue to take prosperity back to this “Ginza”.